Inner Child Studio Founder Rachel Andrews helps display Lego creations made at a recent Lego Build-Off fundraising event. Photo credit: Tyler Hillis. Most of us had a favorite game as a kid and we might have regularly spent an entire weekend or summer doing nothing but playing and exploring the world. Eventually, we were encouraged to “grow up” or “be more mature” and play time morphed into work time and responsibility. Local non-profit Inner Child Studio is on a serious mission to help people question our cultural expectations and become a lot less serious. Whatcom County businesswoman and Inner Child Studio Founder, Rachel Andrews, is bringing creative play to all ages and walks of life throughout the Pacific Northwest. She takes her “work” on the road to veterans, the homeless, people with disabilities, and businesses. In addition to being just plain fun, that play is intended to improve health, reduce stress, teach valuable skills, and improve everyone’s quality of life. 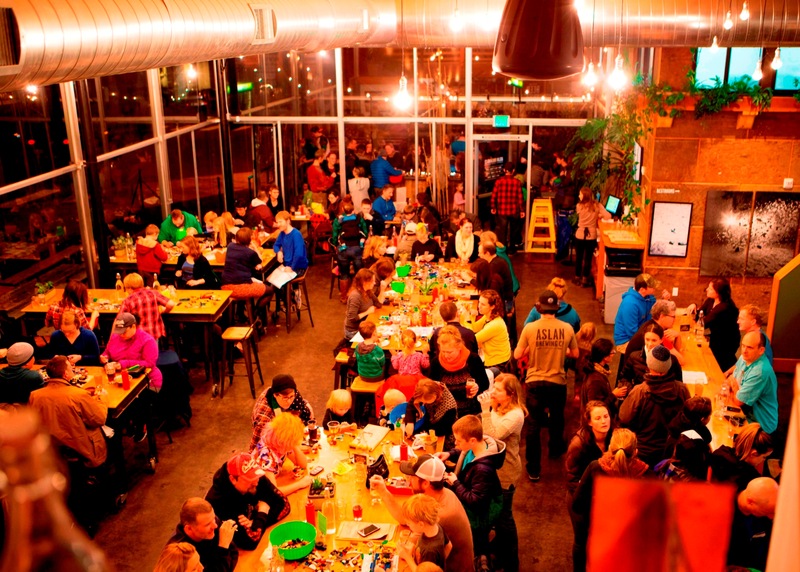 Andrews moved to Bellingham from Tacoma about 15 years ago and attended Western Washington University. “A good friend of mine is mentally disabled,” Andrews shares. 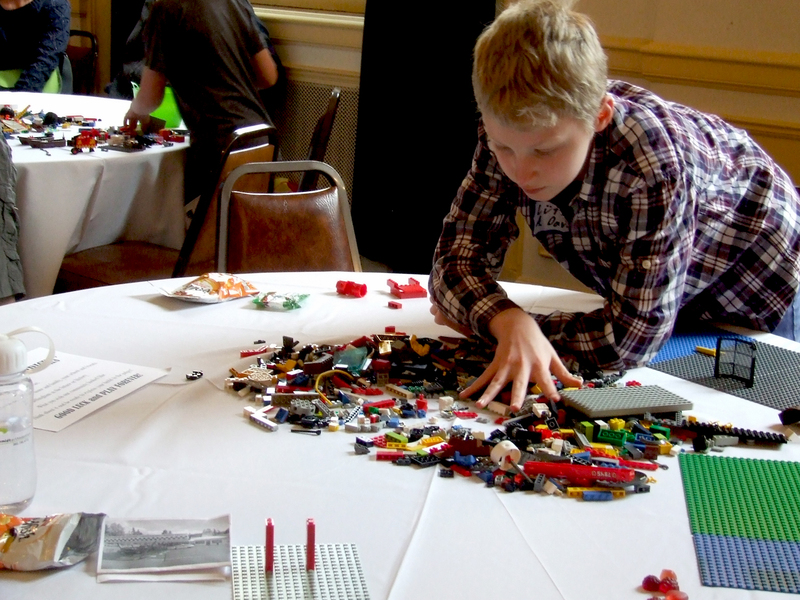 “She came over and we were playing with Legos and I could see right away that when we were playing, her disabilities seemed to disappear.” Andrews was immediately inspired. Families work together as a team to build a creation in a no-stress environment. Photo courtesy: Rachel Andrews. 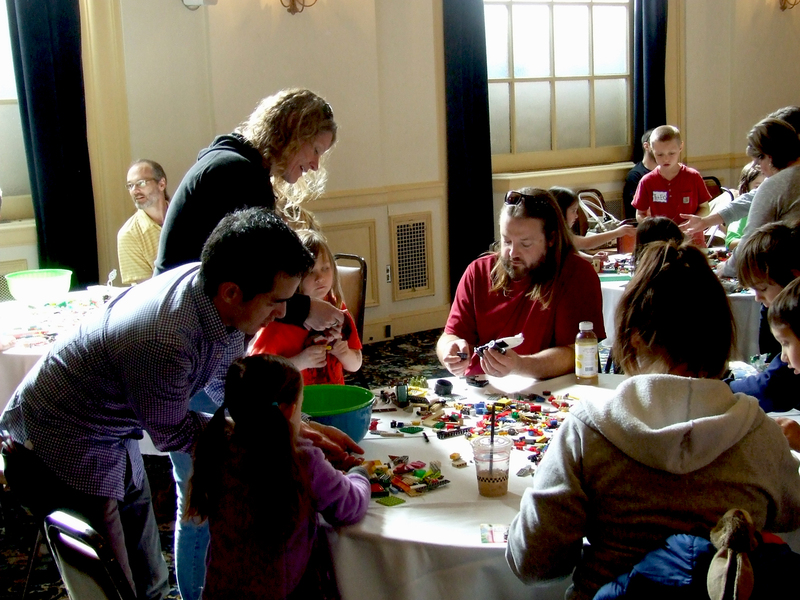 In October 2014, Inner Child Studio held its First Annual Lego Build-Off at The Leopold. “Sharing play with other people has been a real joy for me. Just seeing how much fun adults have playing with toys — along with the nostalgia factor — they can kind of forget that they are grownups for a while and let it all go. It’s a really good stress relief,” Andrews notes of why adults are embracing Inner Child Studio. It’s well documented that play has many positive effects on the lives of adults as well as children. “I did a lot of research. Play helps motor skills, problem-solving, engineering, physics, teamwork, communication — everything,” Andrews explains. “There is a great need for more play in adult lives. We made it our mission to get more people to play with toys. Video games, tablets, and computers are popular these days and so we’re losing that tactile interaction with toys, playing with our hands, and working with other people.” Andrews does most of the work of Inner Child herself when she’s not running her business, Bellingham Wedding and Event Rentals, but she also appreciates the support she’s received from friends and family members. For events, Andrews relies on the generosity of volunteers that sign up online to help. Whatcom County 12-year-old Lute Davis searches for the perfect pieces to bring his imagination into reality at an Inner Child Studio Build-Off. Photo courtesy: Rachel Andrews. That help is offered — free of charge — by Inner Child. “We want to keep it that way so we have local fundraising events where a business will donate a portion of sales to us and we have a donation box so people can support our mission,” Andrews explains. 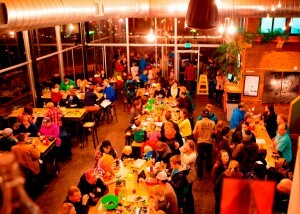 Inner Child’s most recent event was a Lego build-off held at Aslan Brewery. Inner Child also offers children’s birthday party packages as a way to keep their service free to local non-profits. 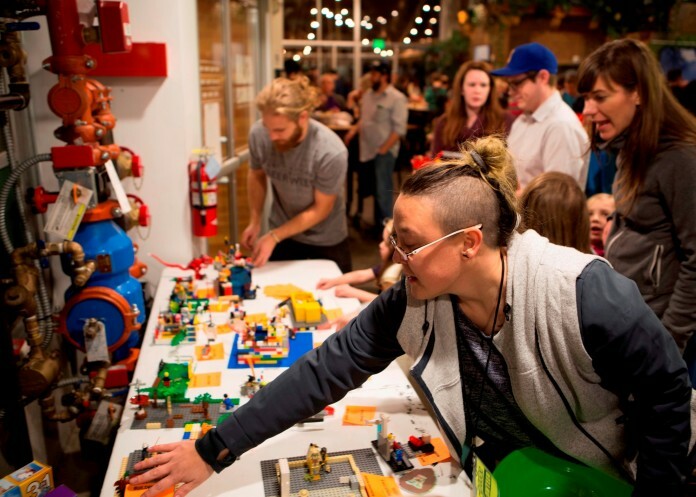 Events like this Lego Build-Off at Aslan Brewery spreads Inner Child’s message of creative play while raising funds to support charitable programs. Photo credit: Tyler Hillis.